Couples therapy is for 2 people, either married or not, that are in a relationship in which there are difficulties. It is certainly best, and will take the shortest amount of time, if both partners come in together. However, if one of the partners won’t or can’t come in, believe it or not, a trained couples therapist can work with one of the partners on couples issues. It is crucial, if seeking couples therapy, that you see a therapist who has specific training in this type of therapy. Ask if they have. A therapist who is solely trained in individual therapy will not have the expertise to help you. Do you feel like you’re not communicating the way you used to? Do you feel unheard by your spouse or partner? Do you feel like they don’t respect what you say? Are you arguing all the time, even about small, insignificant things? Is one of you, or maybe even both, angry all the time? Do you feel as if your partner or you fight “dirty”? Do you disagree on how to raise the children? Are your values different? Do you want different rules to be in place for the kids? Does one of you blame the other for problems the children might be having? 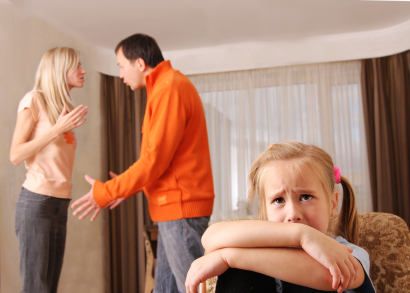 Are you in a stepfamily and having difficulty managing? Has there been infidelity in the relationship? Is one of you jealous much of the time? Are there financial difficulties that you can’t deal with? Do you feel like your partner is trying to control you; that he/she wants to have all the power in the relationship? Are there sexual and/or intimacy issues? Have you lost sight of what made you enter into the relationship or get married in the first place? Do you feel like the love has left the relationship? Are you unsure whether or not to even stay in the relationship? If you have answered yes to one or some of the questions above, call me, I can help. I have had extensive post-masters training in couples therapy and have seen couples throughout the years in my practice. My approach to couples therapy is to first focus on the here and now of the relationship. As such, we will concentrate on finding solutions to the present problems, on changing the behaviors that contribute to those problems, and on increasing and changing communication styles in order to foster a mutual “working together” relationship. I believe that much of therapy takes place in between the sessions and will give “homework” to do together in order to foster change. More often than not, these problems are resolvable. People just get stuck in the same patterns and need some help in changing them. Read my article entitled “Improve Your Communication and Improve Your Relationships” or download my eBook “How to Talk so Your Spouse Will Listen” for a jump start on improving your relationship.